I wonder why they did this instead of a Mane n Tail scheme.... either way, still looks good at least. Because like this Miller High Life scheme, it was done last year. Wish they would've gone with something else. Richmond. The decklid will feature the names of 100 fans that emailed Joey Gase's PR people. Tetronix, Keselowski2Wallace, Racingfan83 and 5 others like this. joeykraus19 and TimDog51 like this. Since the main StarCom Fiber Car was wrecked, StarCom Racing brought the Darlington throwback to Vegas. Rip those people who's names on that car will not make it to the race, lmao. Bitbreaker and thedude1987 like this. An off weekend for the NASCAR XFINITY Series? Not for Gase. 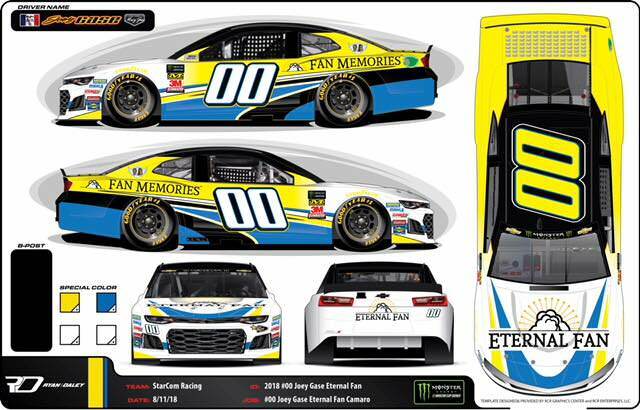 He announced earlier today that he will be pulling double duty at Talladega Superspeedway teaming up with StarCom Racing for 1000Bulbs.com 500 in the #00 and Copp Motorsports in the #83 truck for the Fred's 250 powered by Coca-Cola. It will be Gase's fourth race with StarCom Racing this season and second time with the team at Talladega. However, it will be Gase's first ever start in the Truck Series. Gase is bringing along his NXS primary sponsor and Alabama native company, Sparks Energy Inc., on his #00 Chevrolet Camaro and #83 Chevrolet Silverado. A Monster Energy NASCAR Cup Series ride and Camping World Truck Series at the famed Talladega for Gase is always something special; but what he and Sparks Energy Inc are doing makes these rides even more special than most. 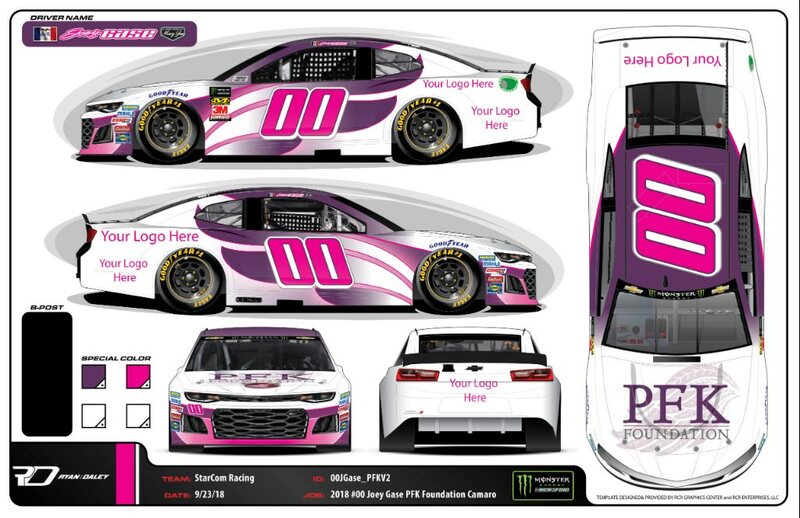 Sparks Energy will be donating their sponsorship to the Prayers For Kayleigh Foundation for pediatric cancer research at St. Jude Children's Research Hospital. The PFK Foundation was founded by the McClendon Family to help raise funds and awareness for pediatric cancer research after their daughter, Kayleigh, lost her battle to terminal brain cancer, Diffuse Intrinsic Pontine Gliomas (DIPG) at the tender age of 7. Good to see another new sponsor in the sport. Your Logo Here ought to bring some decent money to this team. Racingfan83, Keselowski2Wallace, joeykraus19 and 8 others like this. joeykraus19, nascarfan9 and Tetronix like this.